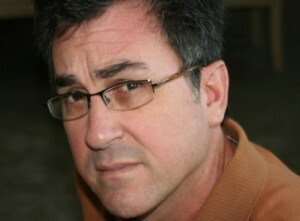 It seems that the infamous game industry analyst, Michael Pachter, is back. In a recent interview with IndustryGamers, Pacther expressed difficulty predicting that the Wii U would have a “hugely successful launch”. He said that the reason for his questioning is due to the difficulty of transitioning from this generation’s hardware to the next generation’s, as well as the lack of announced exclusives. Personally, I think Pachter’s prediction is a bit premature. We’ve already heard one developer say that developing games for the Wii U is no more difficult than developing games for the Xbox 360, and there is plenty of time left for third parties to announce their exclusives. What do you think, does Pachter have a point, or is he a few months early? I say it is too early, but he has a point there needs to be an exclusive that will make people buy the game. I’m sure it will be fine. It will be easier to make a call in 2010 when Nintendo actually starts talking about the system. Besides Nintendo having a game or two, EA and Ubisoft will have games for it, for sure. I wouldn’t put it past companies like Capcom and Sega to have games ready right away, too. I am also hoping that Dragon Quest X will be available for it right away, as well. He should read more articles before saying it is difficult to port games from other consoles or develop for Wii U. But he’s really right about the exlusives..Nintendo is doing some weird stuff recently. This is not the first time Nintendo launch a new Zelda game in the last year of life of their console. Now maybe we’ll have to wait another 2,3 or 4 years for a whole new Zelda game to be ready for the Wii U..I’m not the biggest fan of Zelda but, they know there are a lot of fans that need the game…sometimes it looks like Nintendo is not planning things right. The new Smash bros. too, it’s not even in development yet. He does have a point, but he also is ignoring other facs that are just as if not more important. The Wii U will be the first console of the next generation to hit the market, and will be for at least another one or two years. This, together with HD graphics, a good selection of games at release and the low price compared with new Sony and Microsoft consoles should turn out to be a huge selling point. Also, once Sony and Microsoft launch theit next gen consoles, Nintendo will already be able to lower the Wii U’s price and then it should be a similar situation to 2006 pricewise. Its none of these reasons. It because 1/2 of the world lost their jobs and cant afford a new gen console. You make an excellent point, and I didn’t think about that at all. If next gen pulls out too expensive of consoles, the home gaming industry might be nearing it’s end, or at least one of the companies is gonna pull out of the industry. More or less like Sega back in the Dreamcast days. Of course it is too early: it is easy to talk about a system’s lack of exclusives before developers and Nintendo have said they were going to announce them. Besides, third-party companies have talked about how it is possible to port other games to the console (and then to the controller) easily, even if those games might not make full use of the console’s capabilities, like others surely will. Too soon, Pachter, too soon…..many game companies out there have expressed their interest in the Wii U, and with Nintendo already expressing ideas about what big hit tiles they could possibly release at launch the Wii U is nudging closer and closer towards a good start. Games such as Pikmin, Zelda, and whatever they may make out of the multiple ideas they had in mind for a Mario game for the system, the Wii U should launch well if Nintendo keep’s in mind what went wrong with the 3DS launch……that being how they didn’t release any major first party titles, but instead just mostly third party ones and some minor first party ones. So if the Wii U launches with a combination of awesome first party and third party games, all should go well! Pachter seems to me to be simply hedging his bets, he has no idea what will really happen. The Wii U will have the best, proven exclusives in video gaming- Nintendo made games, the rest need only make use of the new controller and give at least as good a game as on other consoles. I personally think the Wii U versions of a lot of multi-platform games could well become the definitive versions. All that does not matter, even if all the Wii U had was the same multi-platform games the others have, as straight ports, Nintendo still has the biggest draw in exclusives of all three companies. This gives them a massive advantage over Sony and MS.
Dosn’t Nintendo have enough exclusives? He’s talking about announced exclusives for the Wii U. If the console was coming out in this fiscal year, yeah he makes a great point. But it’s not, it has awhile for the exclusive games to start being announced and developed. Also, not a lot of companies actually have WiiU dev kits, or have even started experimenting with it. If there isn’t a lot more titles announced by Feb/March, then yeah I would be worried. Its still way too early to make guesses but this system will definately be structured differently than prior hardware. The developers seem to like it thus far. I’ve learned a long time ago to take Pachter’s opinions with a grain of salt. I wonder if he predicted the same thing for the Vita launch?